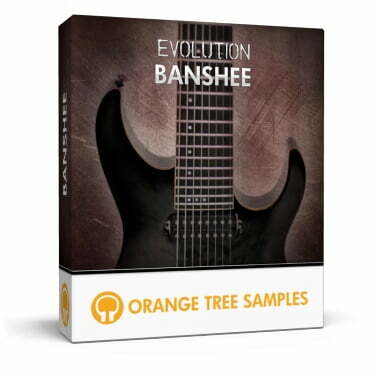 Orange Tree Samples has launched Evolution Banshee, a guitar instrument library powered by the free Kontakt Player by Native Instruments. 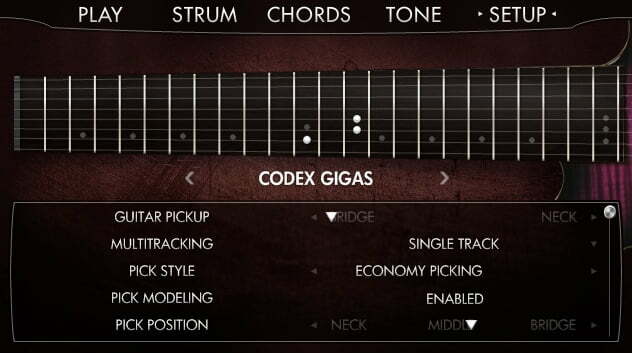 Hailing from the fiery core of the earth comes the hottest virtual 8 string guitar library for metal and rock. 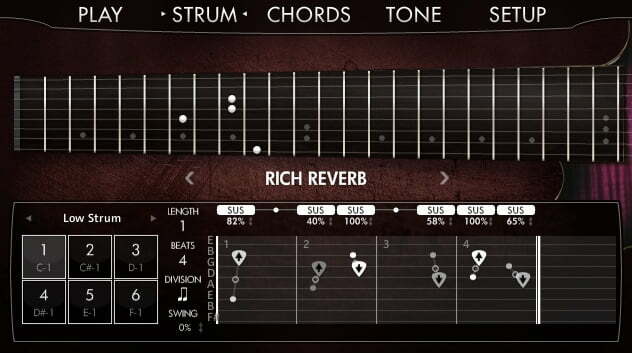 Evolution Banshee covers a wide variety of techniques and articulations, whether it’s epic shredding leads or gigantic quadruple-tracked rhythm tracks. The sample library boasts an expansive note range, from piercing shrieks in the highest register to monstrous growls eminating far below a standard 6 string guitar’s capabilities. 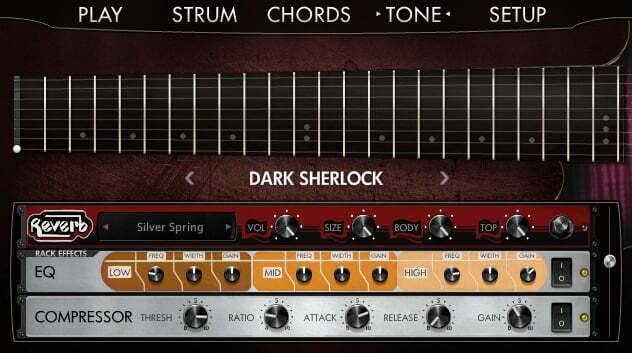 Evolution Banshee’s robust effects engine features a myriad of virtual stompboxes, rack effects, amps, and guitar cabinets to select from. 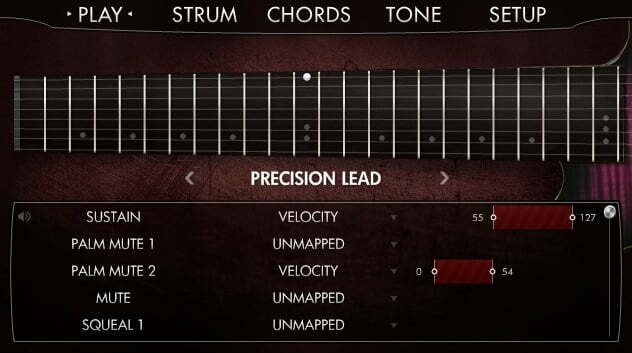 The library also includes a ton of factory presets for instantly usable clean, crunchy, and distorted tones. 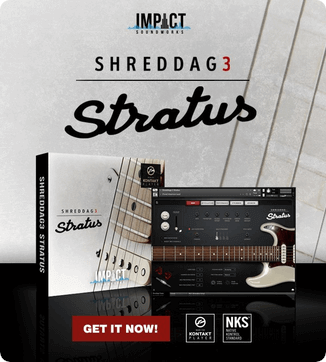 With 17 GB of sample content and well over 15,000 samples, this powerhouse electric guitar sample library covers palm mutes, pinch harmonics, tapping, legato articulations like hammer-ons and pull-offs, slides, muted chugs, string scrapes, and much more. Various vibrato styles, from classic vibrato to rock and metal vibrato with adjustable depth/speed. Vibrato can be assigned to MIDI CCs or aftertouch. Over 15,000 samples, recorded in 24-bit, 48khz. Articulations such as sustains, half palm mutes, full palm mutes, mutes, squeals, tapping, natural harmonics, plus special effects such as chugs, scratches, string slaps, and much more. 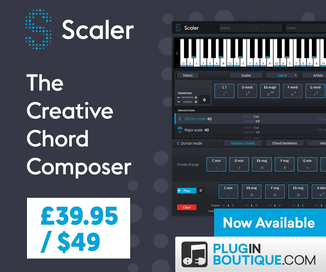 MIDI articulations for instant upward/downward grace notes, buzz trills, whole-step slides, whole-step hammer-ons, slides (velocity-based and tempo-synced), octaves, and powerchords. Separate pickup signals for controllable pickup blend. The library costs $179 USD. An introductory price of $139 USD is available until August 12th, 2015.